Is your pet due for vet care but more comfortable at home? Let our vet come to them! Not excited about the trip to the vet? Let them get a little more beauty sleep and schedule a home vet visit! Your Veterinarian in Saraland, Alabama! Pet Emergency? Call us right away at 251-679-0370! 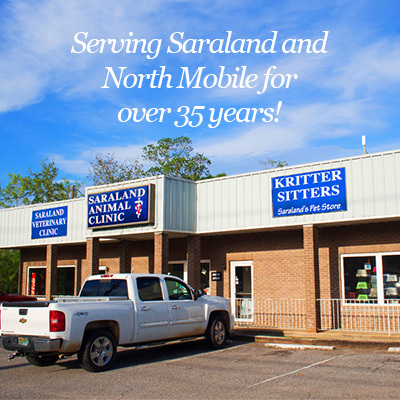 Saraland Veterinary Clinic and Kritter Sitters in Saraland, Alabama is a full service veterinary clinic and pet salon. Our main goal is to provide quality care for your pet throughout their life. Our facility and services are designed to assist in wellness and critical care, dental and surgical care, boarding, grooming, nutrition and the everyday needs of your pet. We are proud to say that we have been treating your pets like our own in the North Mobile community for over 35 years and we thank you for your trust and loyalty! At Saraland Veterinary Clinic we treat your pets like the valued family members they are. Follow us on our Facebook Page for monthly specials and discounts! Is your pet less than excited about trips to the vet? Ask us about scheduling a home veterinary visit for your pet! Join us this spring as we help overweight pets achieve a healthier weight! 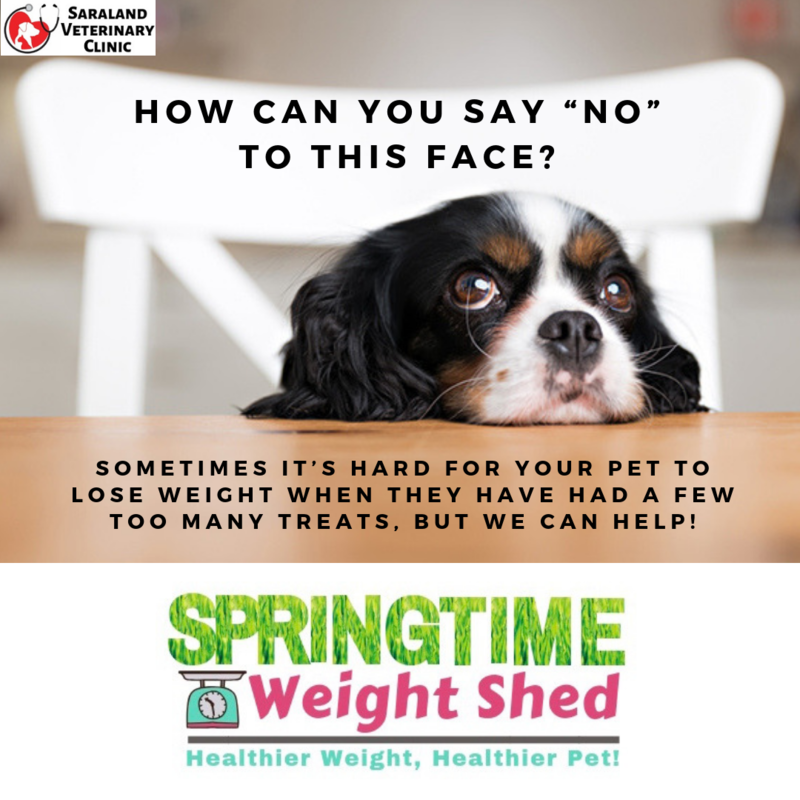 -Enroll your pet during the month of March for a free customized healthy weight loss feeding plan and a free bag of great low fat treats to help them get started! -Free monthly weigh-ins and fun tips along the way! -Great prizes for those that stick with the program for the next three months! Give us a call at 261-679-0370 for more information or bring your pet by to join in on the fun! 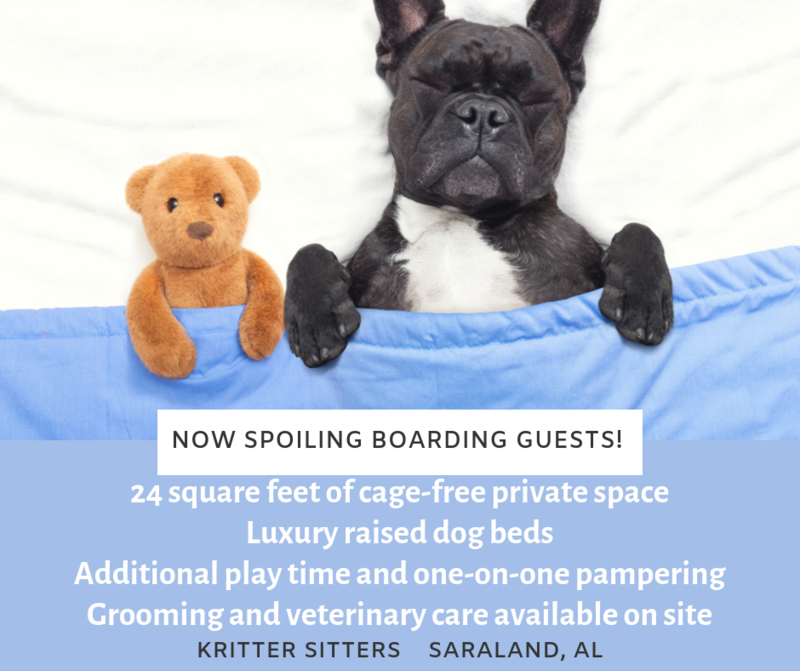 Saraland now has deluxe boarding for both your canine and feline family! I've been at Saraland Veterinary Clinic for over 25 years. Robin is one of our veterinary technicians. She is a very valuable member of our team here at Saraland Vet Clinic. "I want to thank Dr. Luckie and the amazing staff. Its been a rough couple weeks and i almost lost my best friend Leo. They treated me like family and they never gave up on him. I was for aure he was not gonna make it but Dr Luckie didnt give up not one bit and she saved his life. I will continue to go there no questions asked." "Thanks for 15yrs & counting, Dr.Luckie was wonderful with Timmy. We Love Dr.George & all the staff." "Dr Lucky is the best vet ever ! She has been great with both our pups . Yesterday she did a very delicate eye surgery on our little baby girl Chihuahua, Lillie and she looks great . Dr lucky is up to date on new procedures and so loving and great with families too . This vet is a must if you love you pups"
"5 star rating, great Dr's and staff is so understandable, very considerate and caring. I have been using this clinic for a long time allways treated so respectable." "I love this place the people and the atmosphere!!" "Dr Ben George saved my girl Prissie's life and is the only vet she's ever seen. He's the best!!" You'll be the first to know about special treatment deals and savings on pet foods and products.